This is one of my favorites pieces of art in our home. 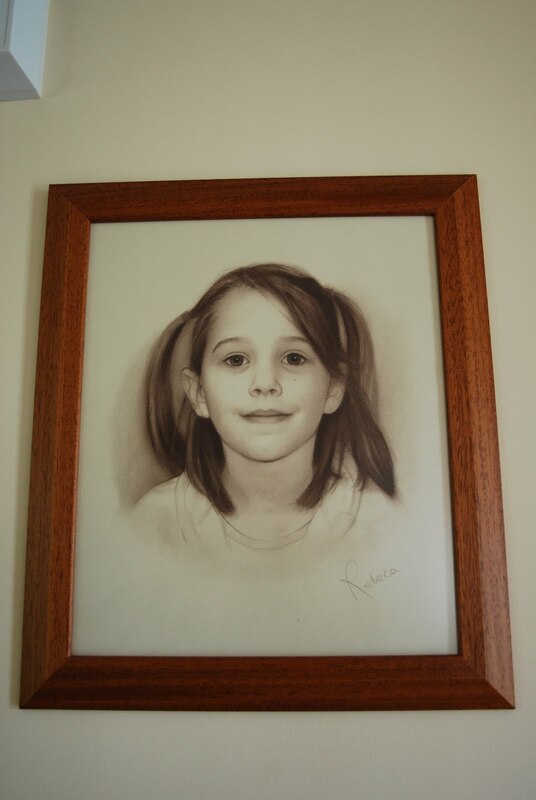 It's a drawing of Leah based off of a picture taken of her in kindergarten. It was drawn by a Russian artist, a young woman going to school for art, as a fundraiser. It is beautifully drawn and will forever capture that wonderful moment in Leah's life. And I love her hair, a little girl hair style too imperfect for a staged picture which makes this drawing of her so much more real. That real moment of her at school. I love this drawing too. That might be another of my many never ending projects to start.